David Wiles is a corporate banking and commercial lending attorney. He represents both borrowers and lenders, including large banks and multinational companies with operations in the United Kingdom, Europe, Latin America and Asia. His experience extends to a variety of financing transactions that involve corporate and commercial loans, leveraged financing, acquisition loans, middle market credit facilities, cross-border financing, asset-based loans, investment grade debt and syndicated lending. He also represents real estate investors who need assistance with convertible note and debt investments, as well as mezzanine loans and loans to EB-5 qualified investors in real estate. 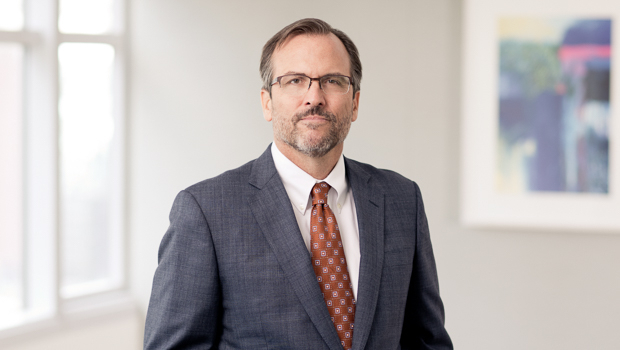 Prior to joining the firm, David practiced at two other Am Law 100 firms in New York and Charlotte, N.C. Before that, he served as an Associate General Counsel and Managing Director for a major corporate and investment bank. As a result, he has acquired in-depth practical knowledge about the banking industry, and he maintains extensive contacts within that sector. David worked with a team of Goulston & Storrs attorneys on a substantial pro-bono matter for Crop Circle Kitchen, Inc., (CCK) during a period of financial crisis in 2014. CCK is a Boston-based nonprofit that serves as a food commissary and major culinary business incubator for startup food service businesses (e.g., food trucks and catering businesses) in the Boston area. This pro bono project involved significant efforts across the firm, including work on restructuring of the nonprofit organization and its board, and work on its debt structure and various corporate matters.